BERLIN -- On Thursday, Tom Hazuka will receive his first award in Connecticut. Hazuka, a fiction writer and Berlin resident, will receive a $2,500 grant at the Commission on Culture and Tourism’s ceremony, which is taking place at the commission’s gallery in Hartford. Overall, 27 people from Connecticut, including poets, fiction writers, music composers, choreographers, playwrights and filmmakers will receive $2,500 or $5,000. "The Commission on Culture and Tourism is firmly committed to furthering the professional development of individual artists," Jennifer Aniskovich, the commission’s executive director, said in a statement. "Artists are at the core of the rich cultural heritage of Connecticut and make tremendous contributions to the vitality of their communities. We believe that supporting artists in thecreation of exciting new work will ultimately benefit all of us." The recipients, known as fellows, were selected by panels of professionals who work in the same fields. The 27 fellows were chosen from a group of 131 applicants. The Artist Fellowship program gives grants annually in different art disciplines. The program is funded by the state as well as the federal National Endowment for the Arts. "I’m pretty happy about it," said Hazuka. "They said, ‘you are worthy.’"
Hazuka, who’s also an English professor -- teaching fiction writing and literature -- at Central Connecticut State University, has written two books. One is called "The Road to the Island" and the other is titled "In the City of the Disappeared." He’s also published 30 short stories in various magazines and is now trying to get two different collections of his short stories published as books. "The Road to the Island," published in 1998, is set in Connecticut. It’s about a marathoner who gets killed and that person’s son has to find out who killed his father. 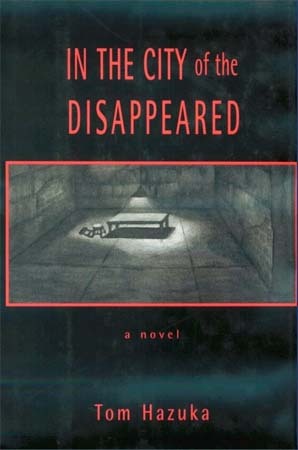 "In the City of the Disappeared" came out in 2000 and is set in Chile during the dictatorship of Augusto Pinochet. The protagonist is a 22-year-old American in the Peace Corps. In 1978, Hazuka went to Chile as a member of the Peace Corps, which he did to "do something different," he said. He spent two years there. Hazuka also went to Chile the past two Christmases. "It was nice," he said. "Warm. I did a lot of research. 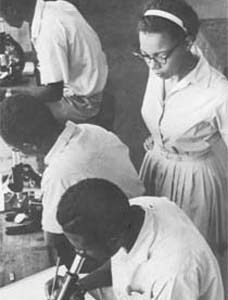 I went to places that I was at in the old days (while in the Peace Corps)." Currently, Hazuka is working on a memoir about Chile and also, a book about the NCAA men’s basketball Final Four with CCSU Athletic Director C.J. Jones. "Writing chooses you," Hazuka said. "I think every writer who writes feels that if they don’t do it, they kind of feel guilty and miserable. The best part is getting it done and saying, ‘I did that.’"
Hazuka started writing songs, poems and some fiction while in the Peace Corps. He had previously written poetry while in college. "Somehow, I just got the idea that I want to do this," said Hazuka, who also plays guitar. After the Peace Corps, he went to the University of California-Davis and got his master’s degree in fiction writing. He received his Ph.D from the University of Utah and won awards for his work while there. Perhaps it’s no surprise that, with this most recent achievement and the money Hazuka will get from it, he plans to finance another trip to South America to conduct more research for his memoir. Besides spending time in Chile, he’d like to get to Brazil. Daniel Remin can be reached at dremin@newbritainherald.com or by calling (860) 225-4601, ext. 231. Hi my name is Christy Coleman and over the past few days I have been very interested in Chile. Me and my group are doing a project on Chile and we would like to know a little bit more about it. We would like to know if there is a lot of violence or misconduct in Chile. We would also like to know if its a peaceful country also. If you could answer these few questions, it would help a lot. Thanks!! !